PlayerUnknown’s Battleground. How many of you knew what was being said in the beginning? Not many, right? Well, PubG PC is what we were talking about. While this name has become holy in the field of the battleground games in the market, there are a plethora of options that not many are even aware of. If you are one of them and need good guidance on which battleground games are taking the internet by a storm, we have a good enough list of the tops ones for you to take a peek into. It goes without saying that the popularity of Fortnite did reach a plateau in between but has now again taken off. This is one of the newest additions to the battle royal genres and can be played across several platforms. 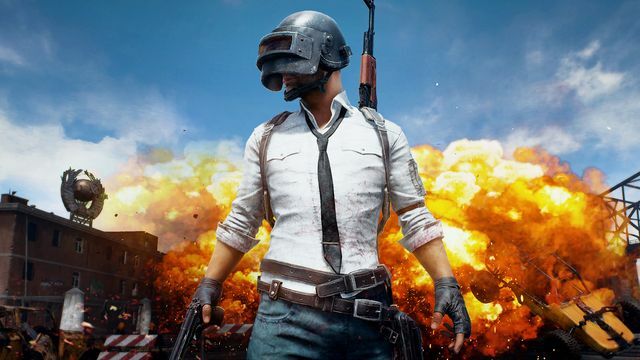 The game, much like PubG pits 100 players in the battleground on a very large and extensive map from where they need to battle their way through and escape death. The battle royale mode in this game is what it is touted for. The constant stream of updates and developments is what further adds to the amazing popularity of the game. Next on the list is DayZ, which is the mod for Arma 2 was the one which started the whole prospect of battle royale. In this specific game, the players are sent and left on a remote island filled with the brain-eating zombies. As crude and disgusting it might sound, the gameplay is just as amazing and interactive. The players respawn very quickly when they die. The game does have its fair share of differences and upgrades in comparison to the other game modules, but this is actually, where everything started. The Culling is slightly different gameplay in comparison to what you find nowadays. It is a first-person shooting game which also explains why people are trying to kill each other in a remote area altogether. All of the players involved in this specific game are indulged in a Hunger Game like a battle and the fittest one of the lot is the one who wins in the end. Apart from the human threat around, there are a number of environmental factors that one needs to swerve through. The game does allow a maximum of 16 players with a team comprising of two players. The last but not least on the list is Rust. It is one of the most popular multiplayer survival game in the market as of now. The unique thing about the game is that the game kicks off with your naked and with just a rock covering you. It is your mission to roam around and find clothes, food and the basic necessities. It is important to be very alert and not trust anyone blindly through the process. The battleground games are gradually gaining momentum and these are the top ones that you definitely need to get your hands on.